The Trump administration has wasted little time in pouring cold water on a wide range of government policies and programs dear to advocates of ESG, the three-decades-old movement that assesses companies on non-financial metrics linked to their environmental, social and governance practices. The administration has filled key agencies with climate-change skeptics, vowing to pare back environmental regulations, and is seen as having little interest in issues such as diversity, sourcing, labor standards and governance. Just this weekend, the new EPA head told the media that the administration would start dismantling Obama-era orders on carbon-dioxide mitigation. 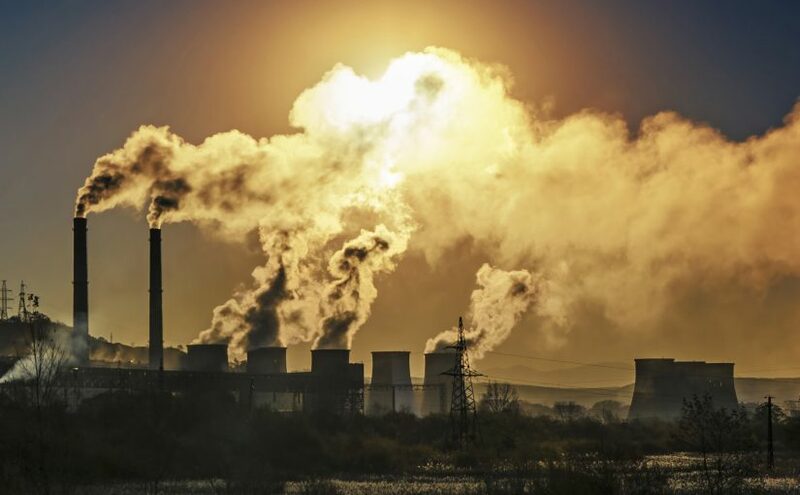 Separately, Trump advisors are said to be seeking concessions on coal-fired power plants as a price for remaining in the Paris Agreement on climate change. Not surprisingly, these attacks worry ESG advocates. With the U.S. administration beating retreat across a wide front on climate change, sustainability and diversity policies, some fear corporate boards of directors will backslide on ESG commitments or see increasingly little need to address these issues. Boards may feel that these changes in government policy give them more room to turn aside shareholder resolutions in support of sustainability reporting. So far, that seems unlikely. Paradoxically, President Trump’s policies may be making ESG programs an even more essential element of corporate strategies. To understand why, it’s important to look at the drivers of ESG adoption. One of the main drivers has been the growing emphasis on ESG by institutional investors. These leading institutions oversee trillions of dollars worldwide, much of it in a fiduciary capacity for pension funds and individual retirement accounts. In the short period from 2014 to 2016, the overall U.S. market for ESG investments has grown 33 percent, to $8.72 trillion in assets under management, according to The Forum for Sustainable and Responsible Investment’s 2016 report. That amounts to one-fifth of all investments under professional management. Millennials’ preference for ESG-linked investments has been an important factor in this growth. Rather than weakening, institutional investors’ focus on ESG issues seems to be intensifying since the presidential election. In the last two weeks, two of the largest institutional investors have signaled stepped up ESG scrutiny of the public companies. On March 13, BlackRock, which oversees $5.1 trillion in assets, said it planned to put more pressure on company boards to spell out their positions on issues such as climate change risks, boardroom diversity and labor practices. On March 26, the custody operations of State Street, which safeguards $29 trillion in assets, announced plans to introduce a set of tools that will make it easier for asset managers, pensions and endowments to screen their holdings for environmental, social and governance risks. Skeptics will note that large institutions such as BlackRock and State Street have proved reluctant to vote against management on shareholder resolutions supporting sustainability management, preferring to apply pressure in private conversations and avoiding the impression that they are trying to micro-manage companies’ operations. Often, smaller asset managers, such as Pax World Investments, with longer histories of ESG activism, have used their proxies more aggressively. But intensified scrutiny by institutions large and small seems likely to keep the pressure on boards to take a harder look at ESG reporting, if for no other reason than companies’ desire to remain in the consideration set of investments by a large and growing pool of ESG-directed assets. That will remain the case even if boards continue to prefer to be seen as moving on their own initiative rather than yielding to shareholder activists. Finally, it’s worth considering the difficulties the Trump administration may face in rolling back climate change policies and other programs related to ESG approaches. Far from being the product of woolly-minded bureaucrats intent on hobbling business, these regulations sprang initially from public outcries. Over the years, voters responded to a steady stream of disturbing media coverage of oil spills, polluted water, toxins in the food chain, and child labor. Little wonder then that the administration’s intention to roll back environmental rules has been a boon to advocacy groups, which have been quick to fundraise off of the election results. In the four weeks after Election Day, the Sierra Club, the largest U.S. environmental group, said it recruited about 18,000 new members. The previous record for a four-week period was about 1,200 new members. For several large environmental advocacy groups, 2017 will go down as a year of exceptional increases in membership and resources. They can be counted on to use these resources to stoke the public debate and oppose the administration’s plans. William Ruckelshaus, the head of the EPA from inceptions in 1970 to 1973, told a cautionary tale in The New York Times op-ed pages in March in which he spelled out the political risks faced by the Trump administration. In its initial years, the EPA made good progress addressing the country’s serious pollution problems: facing down resistance from chemical, mining and energy companies and their lobbyists, Ruckelshaus recalled. But by 1980, the EPA and its mission, particularly the Clean Air Act, had come under attack in the presidential campaign. The Reagan administration took office in January 1981 determined to roll back environmental regulations promulgated by what it regarded as a bloated, job-killing bureaucracy. That effort did not go well. By 1983, the EPA administrator who presided over a 25 percent cut in the agency’s budget had been cited for contempt of Congress, and the staff was dispirited and in turmoil, notes Ruckelshaus. Another political appointee had been accused of lying to Congress, and there were reports of secret meetings with companies under EPA investigation and shredding of documents. The current administration seems on course to experience what political consultants call Newton’s Third Law of Politics: “To every action, there is always opposed an equal reaction.” As the Trump administration acts to eliminate or weaken environmental rules, it’s likely to see at least an equal, well-founded reaction. They may discover soon how large the “sustainability economy” has become and how deeply its principles have become embedded in the nation’s politics. As Ruckelshaus noted, industry leaders may chafe under many regulations but those with a long-term vision for their companies also see value in this oversight. Companies often need government to validate their practices and clear the way for their projects. Certainly, the investment community’s commitment to ESG standards continues to gain momentum, as will the investors’ pressure on companies to disclose more about their sustainability, diversity and governance practices. As the administration seeks to rein in regulations, more – the odds are that more, not fewer, corporate boards will conclude that adopting ESG disclosure standards and articulating their views on these issues is the best course for building shareholder value, attracting top talent, and maintaining credibility in the communities where they operate. Next Next post: Have We Reached a Purchasing Habits Tipping Point?